Let us bust some commonly believed myths about college admissions and college life to give a clearer picture to students. This is a highly believed myth that if I have not heard of the college, it cannot be good. In fact, this is the most wrong statement about colleges because many colleges are known for their athletic programs so they become popular, others are known for drama clubs so they are quite prominent on the television while you are growing up. Good colleges are more than this, and as you enter your adult life you will realize that the names of colleges you had not heard before are quite excellent academic institutions in their own right. So, do not limit your applications to those colleges whose names you are familiar with only, rather search comprehensively for good institutions. Many students believe that a perfect report card with SPM straight A’s is enough to ensure their admission in their dream college. They can’t be wrong enough! A college admissions officer looks at several things while making the final decision. They look at your achievement, not only academic, but community work, extracurricular activities and skills like leadership skills and ability to work in a team or ability to communicate in a diverse setting too. Moreover, the admission essay you submit also has a lot of weight age. So never believe that SPM straight A’s are a ticket to your dream college as colleges look for a well rounded person. As a perfect report card cannot ensure your admission in your dream college, similarly it is very wrong to believe that only extracurricular activities will pull you through to your dream college. Admittedly, these out of class activities do matter as admissions officers look at athletics, debating ability in a potential student, however, they in no way can compensate for good grades because colleges look for a well rounded person as stated before. Many students believe that only high achievers can get scholarships in universities and colleges. This is in fact highly untrue because many universities want their students to continue their studies with them so they offer both merit based as well as financial need assistance scholarships. You might believe this because they think the federal government is the main donor of scholarship funding to student, however, it is the private colleges that contribute a major chunk of financial aid to students who need assistance. So, if you are admitted in a college, it is quite possible you will be able to secure a scholarship on need basis too. Although, colleges have a strict criteria when it comes to standardized scores, they do not admit students below a certain score, however, this is a complete fallacy that high school grades do not matter as much as scores of standardized test matter. Admission officers look for high school grades and use them as a predictor to your college grades. Moreover, top colleges get thousands of applications per year with perfect scores on these tests, so in order to stand out you need a differentiating factor and your high grades, they need not be straight A’s, can be taken into account when making a decision. This is believed by many students across the globe and this is absolutely false! You do not have to decide on a major when you apply to a college, in fact, you do not have to settle for a major in the first year of your college too. It is a fact that college students change their majors at least two to three times before settling on one option. This is also very wise as you need to choose a major that you are comfortable with, choosing it prior to joining the college is not a very smart move. 7. College life is not the real life! 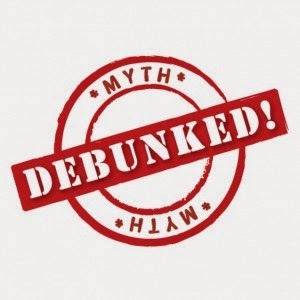 Many students believe this and do not take their college life as seriously as they should when in fact this is a complete myth. College life is a stepping stone into your future life. It teaches students the essential skills like time management, financial management and it grooms students for their life after college in the professional world. The policy of Malaysian Students is way too often and so awful things to do. We are also dealing on a immigration of Malaysia study on a cheap rate but we design our website by an amazing and easy website builder.